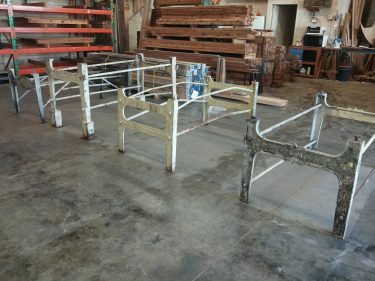 4217 Recycled Table was a neat job we did using old cast iron legs and frame that our client picked up at auction. 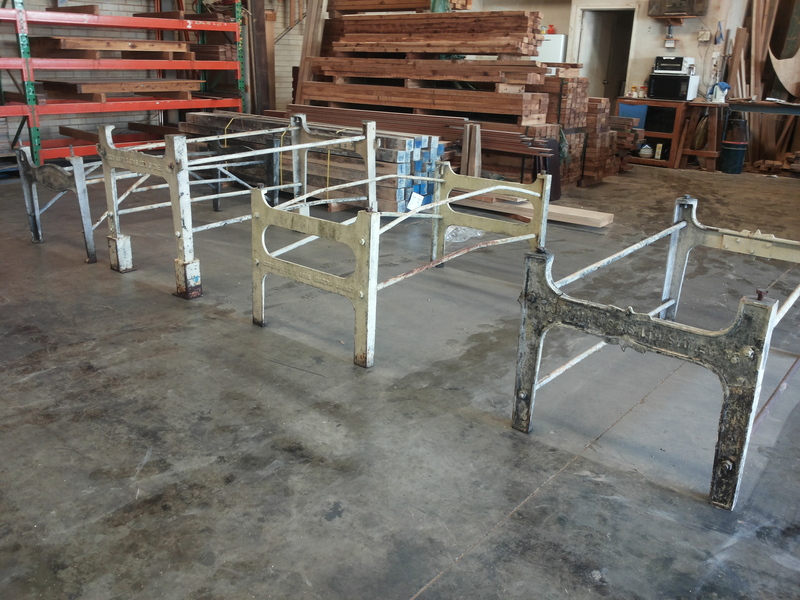 The legs were stripped (sand blasted) back, re-coated and a variety of mixed hardwoods became the top. The 4217 Recycled Table made an ideal table for communal use in a commercial situation and is nothing like you’d find in regular furniture stores. It’s always enjoyable to create products with a clients input as the finished piece is way more personal. We never know what timber we’re going to salvage, and quite often it comes complete with wire, nails, bolts and even old hinges still embedded or sticking out of it. 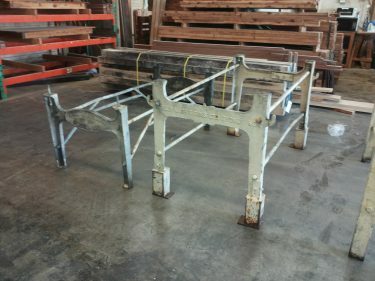 To eliminate the danger of our tools hitting a metal object as we assemble, we run a metal detector over the timber. 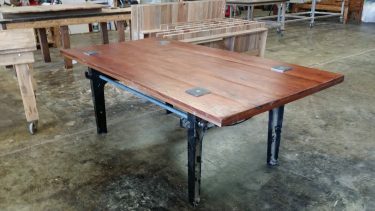 Even though old metal is removed, or smacked back in to the timber in some cases, we try and leave as many of the old age imperfections still present to feature as we did on the top of this Stainless Steel Top Recycled Timber Table. 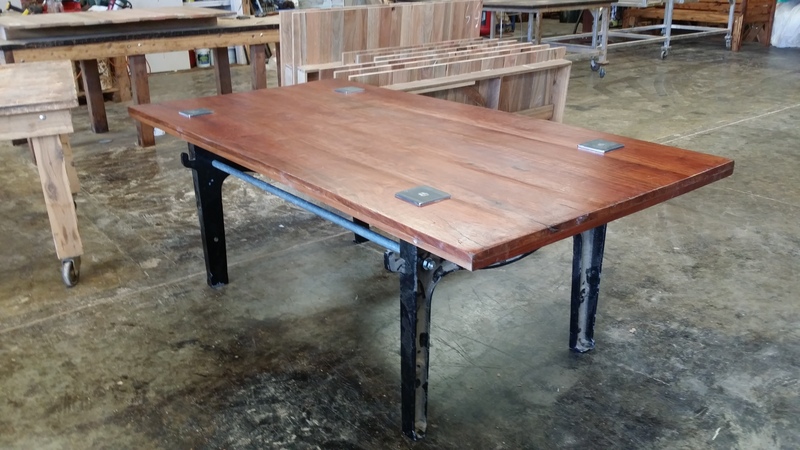 This 4217 Recycled Table is part of our The Solid Timber Man recycled range manufactured from scratch on site at our factory in Queensland. Configurations are based on 600mm width chairs along sides and one on each end. The lower number is a comfortable fit, the higher number is a squeeze.